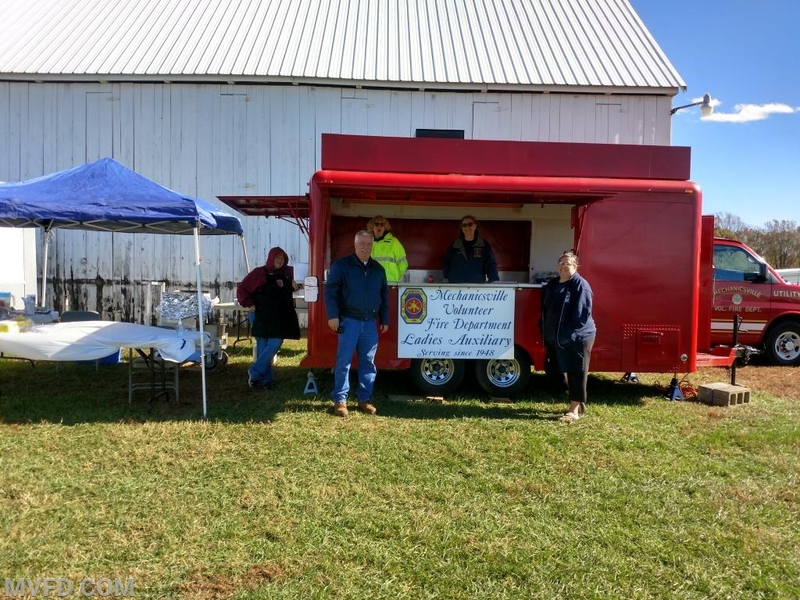 The MVFD Auxiliary braved the cold and wind on Saturday, November 3rd to sell food at the 2018 Fall Auction Sale at Green Manor Farm. Our stuffed ham sandwiches were such a hit that we sold out by 10:30am. But, we had plenty of funnel cakes, drinks and hot coffee! The Auxiliary would like to thank Jeff Hayes for the opportunity to sell our items in order to raise money for our department. 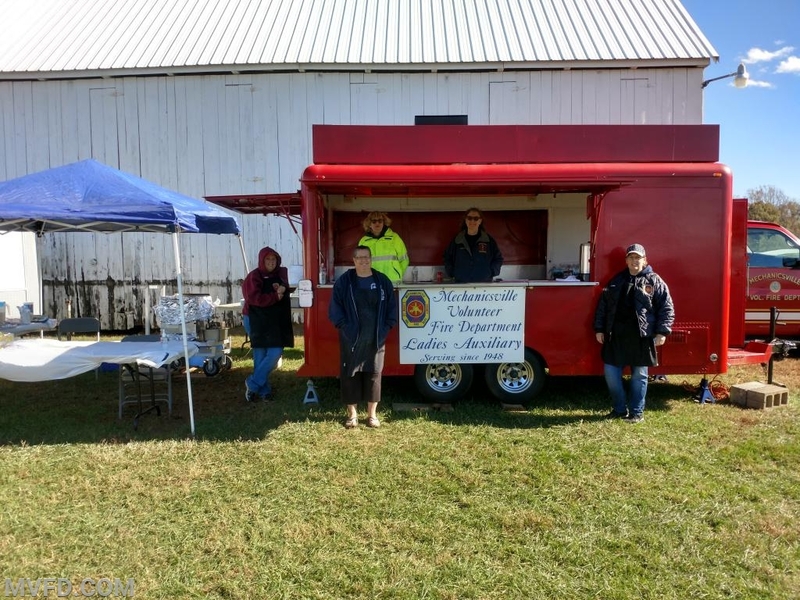 And a special thank you goes out to our President John "Monkey" Montgomery who delivered and set up the trailer and pitched in to help wherever it was needed throughout the day. We hope to make this an annual fundraiser so check back on our website for future events!